You know when you're getting ready for a night out and you feel you're just missing something? For me, this one thing.. this one thing I feel naked without, is falsies.. aka fake eyelashes. I don't know why, but they really complete the 'going out' look and really make my eyes pop. Applying falsies however is an absolute pain in the neck if you don't get it right first time or it unsticks within a few minutes. That's why I love getting my lashes done professionally. It gives me time to relax, its done a lot quicker than I can do it and most importantly, they last so much longer! My best friend trained as a beautician a couple years ago and I must say... its super useful. As is having a hairdresser for a friend.. it's all about connections ;) Having someone who knows what they're doing and will do it for you for a mates-rates discount is amaze. 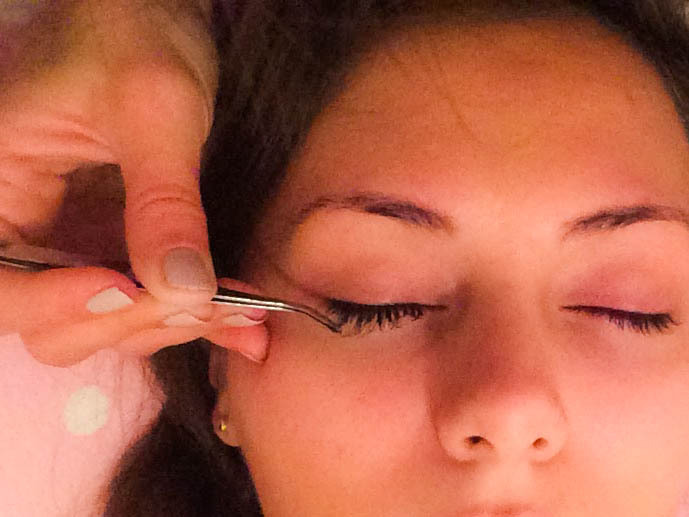 Trading under the business name Prittee Perfect, Rebecca, who lives in Chestnut, Hertfordshire, offers a wide range of services including facials, massages, piercing, waxing, tinting, lashes and gel nails. So in preparation for my Engagement Party last month, I asked her to do my lashes! I opted for clusters as they are the quickest to apply. She tinted my eyelashes too so we were pressed for time. Cluster lashes give a fuller look with less application as they have about 3 to 5 strands per cluster. These usually come in 3 sizes - Small, Medium and Large. Compared to individual lashes which come in around 13 different lengths which give a much more natural lash look. Rebecca used mostly Medium, with about 3 or 4 Large at the outer edges and a few Small towards the inner eye. This created a fanned out look, which was perfect to go with the natural eye look I opted for at my party. She has trained with Lash Perfect and Marvel Lash individual lashes as well as cluster and strip. So if you're from Hertfordshire, definitely look her up. She's super friendly, offers great competitive prices, and will even drive to your house! Clusters last for around a week, depending on how you treat them. Try and stay away from mascara, water and any oil based makeup removers as this will cause the glue to soften/pull the lashes out. Also try not to sleep on your face as I do, as a couple came out on the second night (I sleep on my front) but I just bought some strong cluster lash glue and stuck them back on. Since then and before, I've tried applying cluster lashes myself, even tried on Kirsty for her wedding, but again, if you sleep on your face, they won't last long at all, and they just aren't as easy as strip lashes to apply yourself quickly. I would really recommend Rebecca, and not just because she's my bestie! You can check out her other clients' results on her Instagram and Twitter. She also did my nails for my engagement! 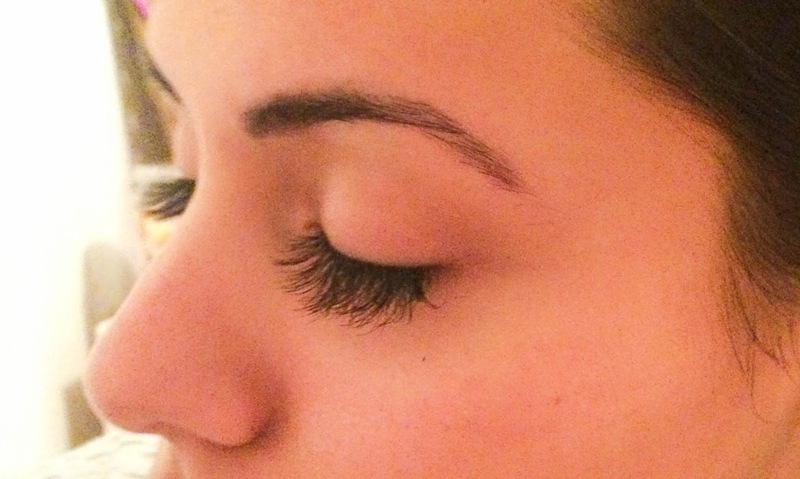 Have you had your lashes done professionally before? What are your thoughts on cluster lashes?